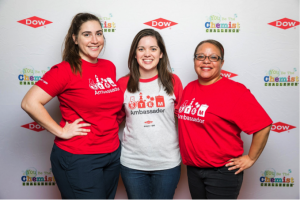 Bring You Be The Chemist to students and educators in your community! 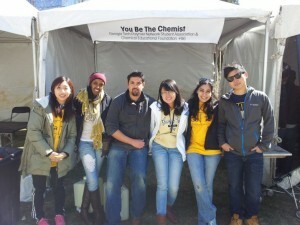 You Be The Chemist creates connections among students and volunteers from science and chemistry industries. Our programs are implemented in partnership with schools, education programs, and employers, so that activities align with local workforce and learning needs. Contact us to learn how your employer can partner to provide You Be The Chemist activities in your community. Share your story about being a chemistry professional! We will help craft your story or identify speaking opportunities to show students and educators what a career in chemistry looks like, and how to get there. Use our Activity Guides at STEM events you participate in or host. 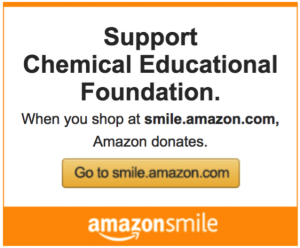 Donate to CEF and sponsor You Be The Chemist. Whether teaching in a classroom or through informal educational settings like afterschool programs or museums, we have resources for you! 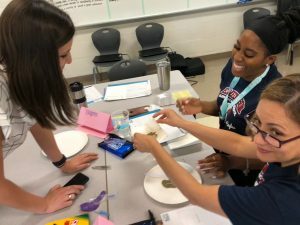 Attend an Essential Elements workshop, designed to increase educator confidence in providing hands-on science experiences. Find a workshop near you. Download our Activity Guides for free and help students’ develop their abilities to engage in sustained scientific inquiry. Our sets of materials cover five content areas with teacher-facing Activity Guides, editable student-facing worksheets, and additional teacher-facing background information. Activities use common, inexpensive household items – no lab space required! Experience the You Be The Chemist Challenge, for students in grades 5-8. Encourage educators to consider the Essential Elements program for professional development that helps teachers brings more hands-on science into student learning experiences. Share Activity Guides with educators – they are free to download.